In this episode we hear from a leading expert in genetic genealogy. 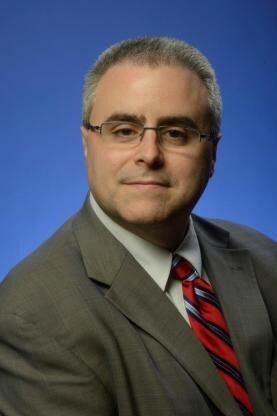 Blaine Bettinger, Ph.D., J.D., is an intellectual property attorney by day and a genetic genealogist by night. In 2007 he started The Genetic Genealogist, o ne of the earliest blogs on the topic. Dr. Bettinger has been interviewed and quoted on personal genomics topics in Newsweek, New Scientist, Wired, and others. He authored I Have the Results of My Genetic Genealogy Test, Now What? in 2008, which is distributed by Family Tree DNA to all of their new customers. 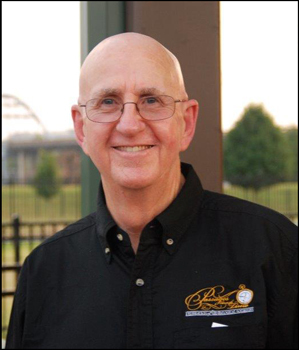 Blaine frequently authors articles and gives presentations to educate others about the use of DNA to explore their ancestry. He is an instructor for genetic genealogy courses at the Institute of Genealogy and Historical Research (IGHR), Salt Lake Institute of Genealogy (SLIG), Genealogical Research Institute of Pittsburgh (GRIP), Virtual Institute of Genealogical Research, and Family Tree University. Blaine was also recently elected to the New York Genealogical and Biographical Society’s Board of Trustees, and graduated from ProGen Study Group 21 in 2015. For your action item for this episode I want us to focus on setting Client Expectations. Setting client expectations is one of the most important steps you can take to ensuring clients success. Take a look at your website, your client reports and your clients communication (both email and consider phone conversations). Have you detailed how your project process works? Does the client know what to expect, what results you are likely or not likely to find, what they will receive as an end product and when you will communicate with them and how? If you see any gaps – make some changes. Provide existing and potential clients with the information they need up front. If you’re a public speaker, revisit the titles and descriptions of your talk. Do they provide enough information to set the expectation of the audience to know whether it is an appropriate level for them? Does the content of your talk match the description? If not, it’s time to revise. 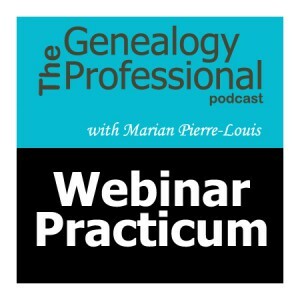 We are changing it up for this episode of The Genealogy Professional podcast. 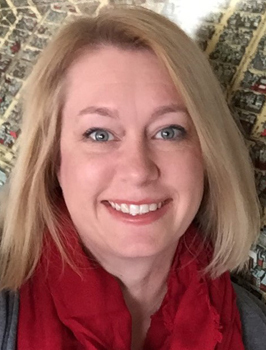 Instead of talking with a professional genealogist about running a genealogy business, our featured guest, professional genealogist and author Kerry Scott, talks about her new book, How to Use Evernote for Genealogy. Evernote is a well-known productivity tool and Kerry will tell us how it can be used to boost genealogy research efficiency. Kerry Scott used to be a Human Resources executive. She finally realized she liked dead people better, so now she’s a genealogist. She’s obsessed with using technology to become a more efficient family historian, and she’s spent years developing tools and techniques to make Evernote work for both beginning and expert genealogists. 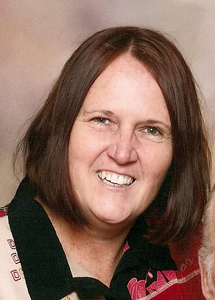 Kerry teaches at Family Tree University, and writes an award-winning genealogy blog, Clue Wagon. Her roots are in the Midwest, but she now lives in Albuquerque, New Mexico. Harness the powerful, timesaving organization features of Evernote‘s free software and mobile apps to manage your genealogy research. How to Use Evernote for Genealogy explains how to organize all kinds of genealogy clues–from notes and e-mails to vital records and audio files–so the information is easily searchable, accessible on any device, and automatically backed up in the cloud. Step-by-step instructions show you how to organize research materials, analyze research clues, collaborate with cousins, and share your family history. 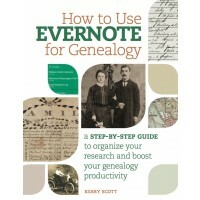 How to Use Evernote for Genealogy is available for purchase from Amazon.com and other booksellers. This interview is a little bit different from what is usually done on the podcast. Instead of focusing on a genealogy professional, we instead focus on a resource – Evernote. Author Kerry Scott talks about her book How to Use Evernote for Genealogy. In this interview Kerry Scott describes some of her favorite tips and techniques that can make Evernote a go-to tool for professional genealogists. Find out the benefits of sharing notes and notebooks with clients, what makes Evernote’s search functions so beneficial to genealogists, and how Evernote camera captures documents using your mobile device. Kerry also describes her journey of writing this book – how long it took to write the book, how she organized it to get started and what her greatest fears were. This is a really simple and obvious action item for this episode. Kerry Scott gave excellent insight into Evernote. Evernote is a FREE tool. Your action item this week is to check it out. Download it on your phone or computer and see what it can do for you. It’s free so trying it out doesn’t cost you anything but time. See if you can use Evernote to make you more productive and efficient. The deadline for speaker submissions to the 2017 National Genealogical Society Family History Conference is coming up on April 1st, 2016. Visit www.ngsgenealogy.org for more information. In TGP news, in the last episode I mentioned that registration was open for the Mastermind groups that I am offering. I wanted to let you know that both groups have sold out. So unfortunately it’s too late to sign up for them. However, I will be offering two specialized masterminds – one for bloggers and one for public speakers. These will be shorter – not full 12 month masterminds like the others. 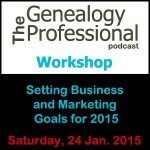 I’ll also be bringing back my popular Goals workshop. That’s a onetime 3-hour workshop that helps you really focus in on your priorities and accomplishing your goals. So keep your eye on the website later in March for info about all of that. We also have a new mailing list and private Facebook group. The group is free and it’s a place where you can talk about the action items from the show and ask questions. There’s one hitch though. In order to get into the group you have to sign up for the mailing list on thegenealogyprofessional.com website. Once you sign up you’ll be sent a link for the Facebook page. So be sure to check that out. I’ll be traveling and appearing at some conferences in the coming months. On March 10th I’ll be presenting the marketing segment at the Forensic Genealogy Institute in San Antonio, Texas. If you’re going to be there be sure to stop me and say hello. On March 19th I’ll be presenting my Goals Workshop to the members of the New England Chapter of the Association of Professional Genealogists. And on April 16th I’ll be presenting a genealogy talk at the Massachusetts Genealogical Council seminar in Marlborough, Massachusetts. If you are in New England, be sure to check that one out because CeCe Moore will be presenting a full day of DNA classes as part of the MGC seminar. Elaine Hannon owns Elaine Hannon Genealogy, a genealogy research business based near Dublin, Ireland that reconnects people to their Irish families. A search to locate her American grandfather stoked Elaine’s interest in genealogy after her secretarial assistant career ended when her boss, a government official, retired. At the urging of her husband, Elaine sought formal education to fuel her passion. After an intensive three months, she earned a Diploma in Family History – Genealogy from Independent College in Dublin. Elaine then opened Elaine Hannon Genealogy in 2011. Elaine was born in Dublin, Ireland and now lives in County Meath, within a short train ride to Dublin’s research facilities. Elaine obtained a Diploma in Family History Research (Genealogy), ICM Professional Development Award. This course was run through the Independent College of Dublin in Spring 2011. The Diploma course is delivered in conjunction with the Accredited Genealogists Ireland (AGI). Elaine is a member of the Accredited Genealogists Ireland (Formerly the Association of Professional Genealogists in Ireland), Irish Genealogical Research Society of Ireland (IGRS) and the Association of Professional Genealogists (APG). Elaine is a listed Researcher with the National Archives of Ireland and the National Library of Ireland. Seek formal training. It will get you on the right track so you will feel confident in your own research. Do not give up. Try, try again. Once you start, keep at it. It’s not going to happen overnight. It will all turn out right in the end, as they say in Ireland. It is interesting to hear how genealogists around the world get their education and how they start their businesses. Elaine used the internet and Facebook to attract new clients. In the past, Elaine Hannon was a Genealogist Adviser for Irish Roots Magazine on their Facebook page where she gave advice and guidance on tracing your Irish ancestors and all aspects of Genealogy/Irish Family History. This was a great step in promoting herself as a professional Genealogist and her genealogy business. Elaine talked about using Facebook as a form of marketing. While it may not be practical for you to partner with a magazine, you can still make the most of Facebook. First, do some market research. Search Facebook for groups that cover the topic of your niche. For instance, if you do French Canadian genealogy then search for French Canadian groups. Second, join the groups and get involved. Don’t ask people for business. Instead, provide value. Answer questions, be helpful and share your expertise. It will be the first steps in building relationships with your potential target market. A Mastermind is a 12-month group coaching session for genealogy professionals to discuss goals, strategize plans, and for members to get support and encouragement for achieving business success. Marian leads two Mastermind groups which are limited to 10 members each. These groups are most ideal for genealogists who have completed either the ProGen course or the BU Certificate program. Two new Mastermind groups will be starting in March 2016. You can find information about signing up either on The Genealogy Professional website or on the Marian Pierre-Louis Facebook page. The cost is $99 per person for the year. Sign up quickly because there are limited spots and no extra groups will be added. The new Genealogy Professional (TGP) podcast Facebook group is free and a place to talk about the action items from the show and to ask questions. Join the group by signing up for the mailing list on The Genealogy Professional website. You’ll receive an invitation via email to join the Facebook group. 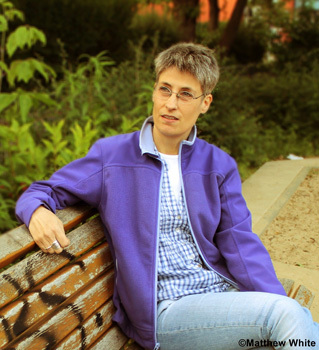 Andrea Bentschneider has been actively conducting systematic genealogical research for over 20 years. Founding her company Beyond History in 2004 was the beginning of turning her passion into her profession. Since then, with her teams she has worked on hundreds of successful research projects for national and international private persons, companies and institutions. She is a sought after expert in the area of genealogy for the media and the exclusive researcher in Germany for the company “Ancestry”, the world’s largest family history website. She has also research for the international television episodes of Who Do You Think You Are? in countries such as Germany, Australia, America, Norway, the Netherlands and England. She appeared in two episodes in Australia in 2009 as well as 2013 on TLC in the episode with Chelsea Handler. Last, but not least, she is an active member of the Association of Professional Genealogists (USA) and the Chairwoman of the Association of German Speaking Professional Genealogists. Her substantial knowledge is a combination of a great wealth of experience and the knowledge of countless historical sources and archives. Each family research calls for an individual approach. This is a challenge that Andrea Bentschneider and her team approach each day anew with enthusiasm. Andrea talked about her company being more than a genealogy company. It’s a business that helps people to fulfill their dreams. In this case, by reconnecting them with their ancestral homeland – Germany. Your business does more than research or educational services too! Think about your business beyond the specific tasks that you provide. How does what you do impact your clients? Does it inspire them, educate them, help them grow, fulfill their dreams? Start thinking about your business in a different way so that you can see the change and impact that you have on your clients or stakeholders. Want to add webinars to your speaking repertoire? In part one of this webinar practicum you will learn best practices for conducting webinars. In part two you will work one-on-one with Marian Pierre-Louis to record your very own webinar! 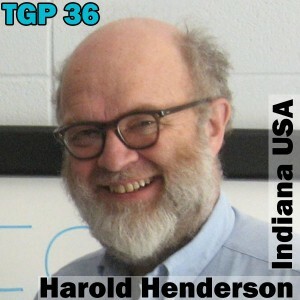 Harold Henderson,CG(sm) has been a professional writer since 1979, a professional genealogist since 2009, and a board-certified genealogist since June 2012. He lives and works in northwest Indiana and at midwestroots.net, with a focus on northern Indiana, southwestern Michigan, and northeastern Illinois (plus feeder states including Ohio, Pennsylvania, and New York). He serves as a board member of the Association of Professional Genealogists where he chairs the APG Quarterly advisory committee. He moderates the on-line Transitional Genealogists Forum. He is the author of Finding Ancestors in Fort Wayne and In Court In LaPorte, an every-name index to the earliest (1830s) court records of La Porte County, Indiana. 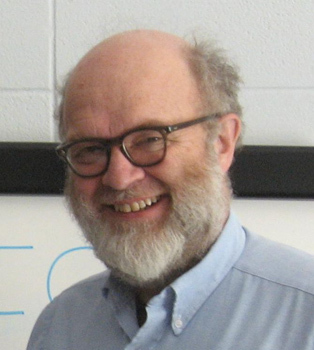 He has published articles in American Ancestors Journal (annual supplement to the New England Historical and Genealogical Register), the National Genealogical Society Quarterly, the New York Genealogical and Biographical Record, the APG Quarterly, Archives.com’s late lamented expert series, and state publications in Indiana, Illinois, Wisconsin, Ohio, and Pennsylvania. He blogs at http://midwesternmicrohistory.blogspot.com. At any given time he would probably rather be reading a grantor index. We need to get better as genealogists at giving and receiving feedback. This will make us better genealogists because it will teach us to correct our mistakes and to strive to do better work. Pair off with another genealogist – whether it is someone from Facebook, your local genealogical society or local library. Write up some up your genealogy according to the BCG Genealogical Standards Manual. Share your genealogy with the other person. Review what your partner has given you and then provide feedback. First, let your partner know what they have done right and then give them suggestions for how they can improve. Just going through this exercise will make you a better genealogist because you will be more comfortable sharing your work with another person. Good luck! Last chance to sign up this January Workshop! Two dates available. Click the images for more details. DearMYRTLE is the nom de plume of Pat Richley-Erickson, author of the award-winning DearMYRTLE Genealogy Blog, consistently among the top 5 family history blogs internationally, where her focus is on beginning genealogy topics. 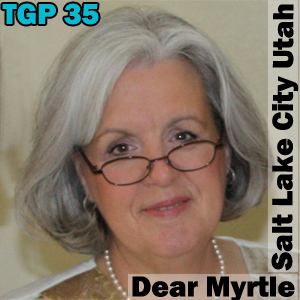 A speaker at regional and national conferences including several livestreamed videocasts at RootsTech2011, 2012 and 2013, Ol’ Myrt and her team presented two G+ Hangout on Air workshops at RootsTech 2014 where she will again serve as an Official RootsTech Blogger. 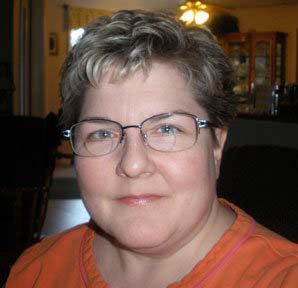 DearMYRTLE is a co-founder of the Genea-Quilters group on Facebook, and founder of www.GeneaWebinars.com, a centralized calendar and blog for all known genealogy webinar hosts and virtual presenters. Have fun watching Myrt LIVE on “Mondays with Myrt” on DearMYRTLE’s YouTube Channel and Google+ Community. Online since 1985 in membership development with Q-Link’s Your Family Tree and later on the leadership team of AOL’s Golden Gate Genealogy Forum, Pat is a retired post-secondary computer instructor. She and her husband live in Salt Lake City, Utah, just a stone’s throw from the Family History Library. Dear Myrtle is all about exploring technology and trying new things that will help us learn to do better genealogy and to find tools to help us do it easier. With that in mind let’s make it our goal to try something different this week. For those of you who have never tried Google+ before your task is to head over to Google+ and to set up an account. If you already have a gmail account then this will happen with the click of a button. If you don’t have a gmail account then you will need to get one to have a Google+ account (you don’t actually have to use it for email). Once you are on Google+ then put Dear Myrtle and myself in a “circle” (ie follow us). Search for your genealogy colleagues and friends and add them to a circle as well. Next, head over to the Dear Myrtle Community and see what that is all about. Top it off by participating in a Hangout on Air such as Monday’s with Myrt. Google+ is a tremendous resource for genealogy professionals. You’re missing out if you’re not taking advantage of it. At least take the time to see what it’s all about. Don’t Miss this January Workshop! Two dates available. Raised in the tradition of story telling, a custom which has been cultivated in her family for centuries, Ursula Krause began to become interested in the history of her ancestors as a child. Influenced by the emigration of her great-great-great-grandfather and her own long stays in the USA and Sweden, she has intensely studied and investigated the subject of emigration. As a result, she put the story of her family to paper, as seen from a socio-historical and psychological perspective. Little by little she began to research and document the stories of other emigrant families. They are stories that give descendants and family members a picture of the country where their roots lie. Ursula is based in Berlin, Germany and is the owner of Rootseekers, a business that recreates ancestral stories for people of German descent. It’s the New Year! We need to stop and take a moment think about our goals for 2015 and come up with a plan to achieve them. This week’s action item is simple. Write down your goals for 2015. Don’t leave them in your head! Write them down and post them on the wall near your computer or where ever you spend most of your time. Look at your goals each day, figure out how you are going to achieve them, and work toward them a little bit every day. Two Workshops Coming up in January! Cyndi is the creator, owner and “webmaster” of the award-winning web site Cyndi’s List of Genealogy Sites on the Internet, www.CyndisList.com, a categorized index to more than 330,000 online resources. In its first three years, Cyndi’s List was three times voted the best genealogy site on the World Wide Web. It helps millions of visitors worldwide each month and has been featured in the media and diverse publications, including ABC News, NBC News, USA Today, Time, Newsweek, Parade Magazine, Wired, Family Tree Magazine, Family Chronicle, and Internet Genealogy magazines. Cyndi has been interviewed for many television and radio broadcasts including ABC News, NBC News, the BBC, and National Public Radio. She has also participated in the Ancestors II television series on PBS. Cyndi, a genealogist for more than 34 years, is a past-member of the board of directors for the National Genealogical Society. Cyndi is an internationally known guest lecturer for various genealogical society meetings and seminars (http://www.CyndisList.com/speaking-calendar/). 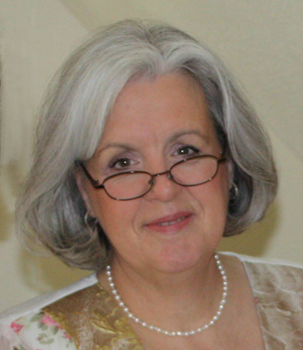 She has lectured for the Salt Lake Institute of Genealogy, GENTECH, Brigham Young University, the Federation of Genealogical Societies, the National Genealogical Society, the Washington Library Association, the Florida Library Association, the American Library Association and numerous local genealogical societies in the United States, Canada and the United Kingdom. Cyndi has authored numerous articles and three books. 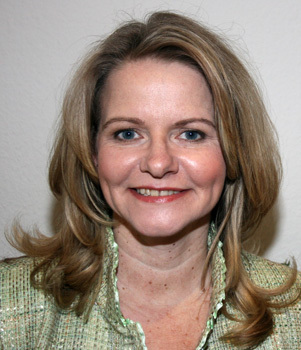 Before her life on the Internet, Cyndi worked as an international banker specializing in foreign exchange and computer networks. Cyndi, her son, Evan, and three Boston Terriers live in Edgewood, Washington. Take Cyndi’s lead and cut down on the number of emails received in your inbox by answering the most often repeated questions on your website. Think about the common questions that you are asked that are often repeated. These can relate to your contracts, billing, project focus, expertise or anything related to your business. Make a FAQ (Frequently Asked Questions) section on your website and watch those repeated questions disappear from your inbox! The webinar “Targeting and Finding New Genealogy Clients” is now available for download. More information about that is available here. Scottish born, Canadian raised, Christine Woodcock is a genealogy educator with an expertise in the Scottish records. She enjoys sharing new resources to assist others in their quest to find and document their heritage. 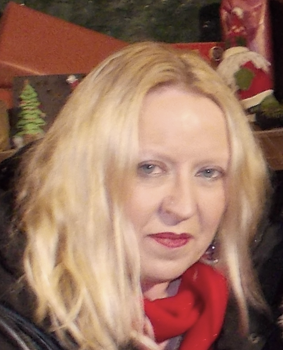 Christine is also a lecturer, author and blogger who enjoys connecting with other genealogists through social media. Christine is the Director of Genealogy Tours of Scotland and organizes 10 day research trips to Edinburgh where participants can research their genealogy onsite in Edinburgh. We have talked in the past about setting priorities and focusing on what is most important. This week we dive deeper into this idea by focusing specifically on email which can be overwhelming for all of us. Are you in control of your email or is it in control of you? In the past we’ve asked you to prioritize your to-do list and create it the night before. There’s no point in that if you get derailed first thing in the morning by other people’s priorities in the form of an email. For the next 7 days try opening your email only 3 times a day. And more importantly, don’t open your email before 10am. Instead, focus on that number one priority which is on the top of your nightly to-do list! 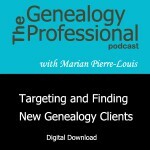 As mentioned in the podcast, the webinar “Targeting and Finding New Genealogy Clients” is now available for download. More information about that is available here. Alvie is certified as a CG (Certified Genealogist) by the Board for Certification of Genealogists, Washington, DC. He is an alumni of the National Institute on Genealogical Research, Washington, DC (1998); and the Institute of Genealogy & Historical Research, Samford University, Birmingham, Alabama (1999 and 2000). He is the founder (1981) and President of the Imperial Polk Genealogical Society, Lakeland, Florida. Bowie, MD 1988) and has published articles in The Genealogical Helper. Genealogists (APG) for a 10 years as a director. Alvie talked about the importance of investing in your own business. That can take the form of buying equipment or it can be spending money on education and conferences. Either way you need to keep pushing yourself forward so that your business can succeed. This week think about some areas where you could re-invest in your own business. Is there a task that you do that could be done more quickly if you have the right equipment?. Would having a smart phone or tablet help you be more productive? Are you investing in your own education? Make a list of 5 items where you could or should be investing in your business. Then think about a plan to figure how to you are going to make it happen.